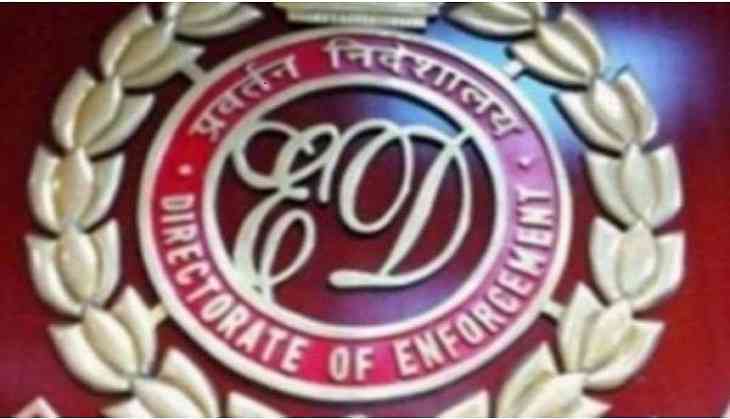 The Enforcement Directorate (ED) on 22 December arrested Jaiprakash Bagarwa and Ashok Kumar under a Prevention of Money Laundering Act (PMLA) in Rajasthan's Bikaner land scam case. As per the ED, Ashok Kumar is a close associate of Mahesh Nagar of M/s Skylight Hospitality Pvt Ltd. The Bikaner land scam is a land grabbing case, in which fraudsters in collusion with the state government officials got allotted land on the name of fictitious individuals (who were non-existent) which was actually earmarked for people who got displaced due to the creation of Mahajan Field Firing Range. The fraudsters created forged allotment letters purported to be issued by the Colonisation department and 1422 Bigha land was recorded in revenue record in the name of these fictitious allottees without due verification of these allotment letters from the department. Tehsil officers like Patwari, Girdawar, and Tehsildar were active partners in the conspiracy and fraud and allotted land to fictitious people without any verification. Rajasthan Police had filed 18 chargesheets initially and later on, two more chargesheets were filed by the state police, making Ashok Kumar an accused among others. "M/s Skylight Hospitality Pvt. Ltd had purchased 69.55-hectare land in Rs. 72 lacs, sold it to M/s Allegeny finlease Pvt Ltd for Rs. 5.15 crore and earned huge profit of Rs. 4.43 crore. M/s Allegeny finlease Pvt. Ltd as a company is not involved in any real business activity and many of its shareholders were found to be non-existent during the investigation," a release by the ED said. Earlier, during the investigation, the ED issued a Provisional Attachment Order under the provisions of the PMLA attaching movable and immovable properties worth Rs 1.18 crore. The ED had reportedly issued a notice to a firm allegedly linked to Congress leader Sonia Gandhi's son-in-law Robert Vadra as part of its investigation into an alleged land scam in Rajasthan's Bikaner city. According to sources, the notice had been issued to Skylight Hospitality firm under the provisions of the PMLA. The ED had earlier on 6 May conducted searches at eight premises in Bikaner and nearby areas in connection with the case. The ED registered a money laundering case against certain real estate developers and the Rajasthan government officials to probe the Bikaner land scam. The investigation is related to the purchase of 275 bigha land allegedly by the company in the Kolayat area of Bikaner.